Moleskine notebooks are famous by the quality of its construction and its paper, they have been used for years in Europe by Journalists, travelers and writers to take notes on the go. The pocket moleskine is 3.5 x 5.5 inches (9x14 cm) and weights 5oz, each one is 1/2 inch thick (1.3cm) and has 192 pages. There are several versions including ruled, squared, plain, music paper, sketching paper, storyboard, travel info, address book and japanese book. The ruled, squared and plain versions are the most popular because they can be used for all kinds of notes. The notebooks open completely and the sheets will not fall, the paper offers excellent writing quality, fountain pens or alcohol based markers may leave some traces. The journalist version flips at the top instead than on the sides and also comes with many different paper types, can also be good for detectives. The last 24 pages are deattacheable. With 192 pages per notebook a single Moleskine notebook can be used to organize your activities and your on-the-go notes. In the modern world of cellphones and PDAs it is still a good idea to have a notepad that can be quickly used for notes without needing batteries and the moleskines resurrect the pleasure of writing, it is up to each individual to create their system of notes and symbols and there are plenty of ideas on the web to research. An excellent quality notebook for those that still love to write. 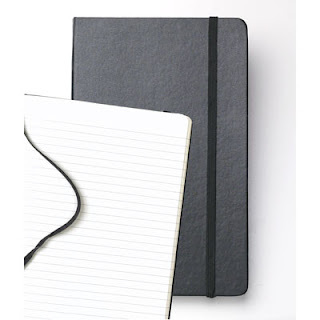 You can read more and order for about $10 from moleskin-us. The Janus is a utility pocket to be added to the strap of Maxpedition versipacks such as the Fatboy, Colossus, Jumbo and some backpacks. There are several ways to use the Janus. The first one is by splicing an existing shoulder strap with the Janus using the buckles in the Janus, the strap will then be longer and feature the Janus in the middle. You can also attach it using Malice clips via the modular straps in one of the sides. You can also use it on your belt or as a waistpack. The strap with the buckles can be totally removed. One side of the Janus has loop fields and the other PALS webbing you can decide which side will be the front side. There is a tube running on one of the sides that can be used as a flashligh cave. The Janus is 8” x 4” x 1.5” with dual zippers and one internal division, it is good for PDAs,cellphones, wallets and other accesories. The external straps can be used to clip a knife or a money clip. As with other Maxpedition products the construction is excellent, the zippers are strong and run very well and the pocket is very useful maybe a little bulky for its capacity due to the strong construction and multiplicity of attachment options outside the pocket. It is a very good adition for a versipack and can also be very good for a medium to big size backpack strap. As a standalone waistpack it is too big to be unnoticed and too small to carry many items so in our evaluation we choose to use it with a Fatboy versipack and was a great adition. Available in green, kakhi and black. You can read more and order for $35 from Maxpedition's website.